The HDPE washing line is designed for rigid plastics with a wall thickness ranging from 1~25mm such as HDPE Bottle, etc. 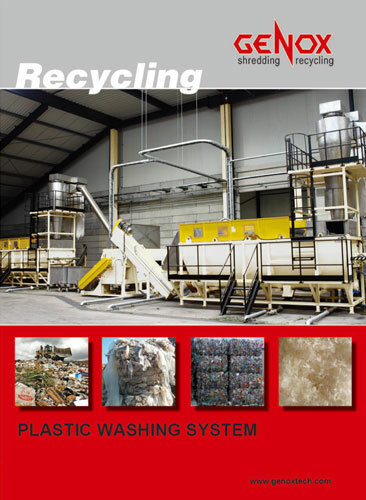 High speed washing system with corresponding speed according to material type liberates contamination from plastic flakes. The under water force-washing paddle of the washing tank maximize the washing efficiency. Mechanical and thermal drying system minimize the moisture of the end product. Shredding, high speed washing and drying is set at suitable intensity to avoid over friction and cause material loss (fines creation).